This is a very different post as I want to talk about one of my favourite stores in Thessaloniki, a tea retailer. Maybe I am looking forward to my visit to Thessaloniki a bit too much. I have always been a fan of tea. I love the taste of coffee but unfortunately I can’t take too much of it unless it is decaf which most of the times has no taste. 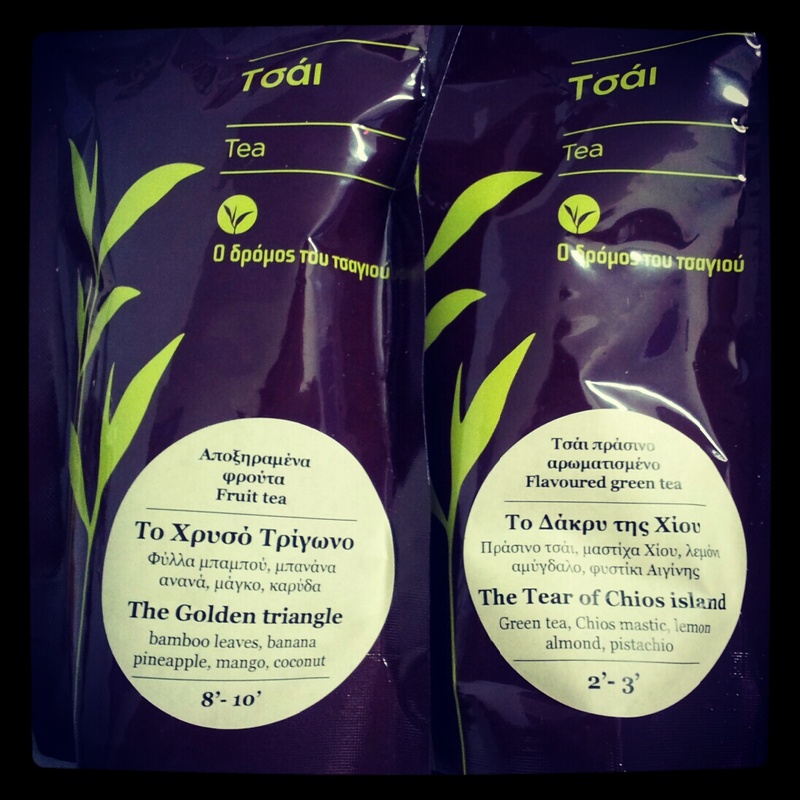 My sister told me about this store Ο Δρόμος του Τσαγιού ~ The Tea Route and initially it was curiosity that drove me there. It is not in the Greek culture to drink tea. We love our mountain teas and herb teas especially when collected and dried by family members but we usually consume them for therapeutic purposes. Whenever I am asking my grandmother whether she would like a cup of tea the response I get is one and the same: ‘Why? Am I ill and you are asking me?’. This little store close to the White Tower impressed me in a very good way and for a moment I thought I was either in China or UK. You are definitely spoiled for choice and the varieties of tea you can find there are one of a kind. I wanted something light and decaf so I went for the options in the photos. I loved them. I bought them last year during April and they still maintain the flavour in full! Everytime I drink a cup though I wish I had some cookies to go along with them. I have set myself a challenege, to try and find or experiment with cookie recipes that will complement the flavour of each tea. I am definitely looking forward to visiting the little store again, gearing up with different varieties and experimenting with recipes.